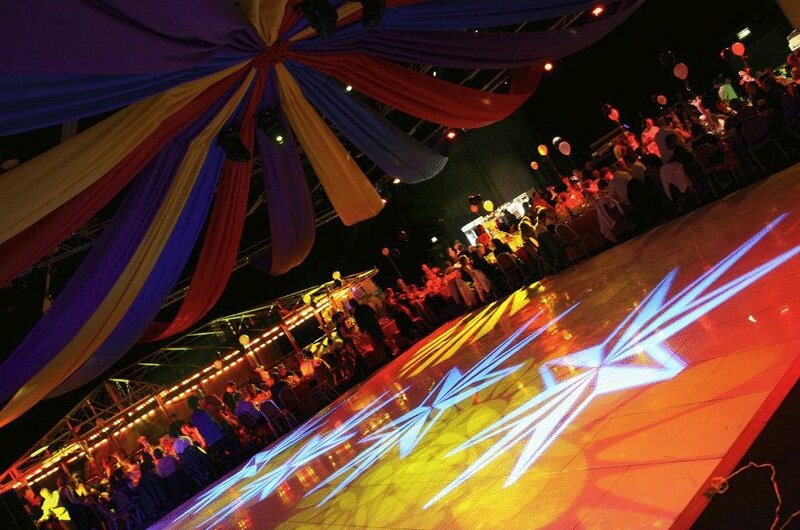 Dance Floor Hire UK can provide you with a top quality white dance floor that will suit all your needs and we can supply and fit it anywhere in England, Wales, Scotland, Northern Ireland and even through out the whole of Europe. Pure white dance floors are a relatively new idea but with no doubt White dance floors are among the most amazing looking dance floors and are ideal for any event or function including ` product launches such as cars etc, Exhibition stands and of course every wants to take her first dance on the gleaming polished pure white dance floor on her wedding day. These dance floors are very popular and ideal for adding that extra special touch to your individual party or corporate event. Remember that all dance floors be it Mirrored, Pure Black, Pure White, LED and Black and White Dance floors are all made to the same size sections and are fully compatible with each other so there are thousands of limitless pattern options available with this flooring system. Just let your imagination work some over time and we will make it happen for you. Imagine what your guests reaction would be if the centre of the floor suddenly lit up. with a P light star lit centre or even a walkway to the floor. Do not forgot using a shiny white floor when lights are shone on to its service the whole area changes colour creating some spectacular effects. Remember if you need a back drop why not rent a white star cloth or even a white stage. 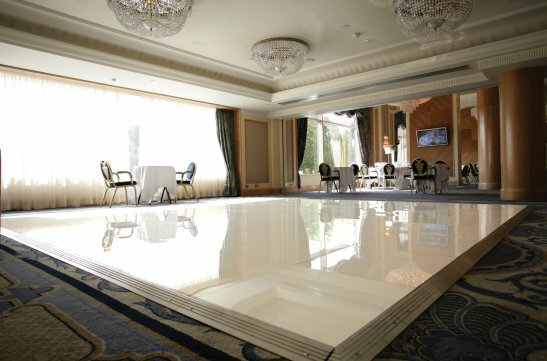 The Pure White dance floor sections are not suitable to be laid direct onto grass or outside. 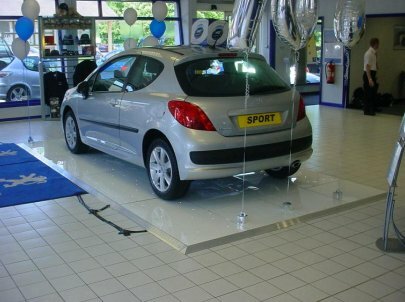 All our white flooring and dance floor systems are of top quality and will be delivered and fitted by our highly trained engineers. Please contact us for further information or for an obligation free quote on your dance floor or white dance floor hire needs. 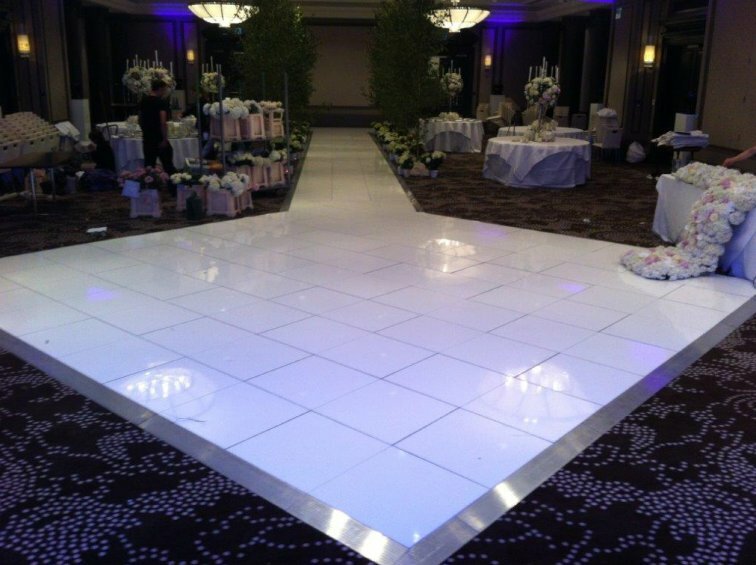 Our pure white dance floors come in individual sections of 2ft by 2ft (600mmx600mm). Our range of white dance floors are all top quality products and will be professionally delivered and fitted and will be pre-checked and re-polished before they leave our warehouse. Arriving with you clean shiny and ready to be used.